You've head how healthy Kale, Spinach - and perhaps even Spirulina are for you to eat - or drink in a healthy green juice or smoothie. Now, Youth To The People, a family owned company that formulates, makes, and packages its small batch products in California, has created a mud mask that incorporates all of these ingredients and more for a powerful, yet gentle skin treatment. These 3 superfoods are combined with green tea and powerful age-fighting antioxidants, phytonutrients, essential amino acids, vitamins, and minerals to restore and rejuvenate skin. There's also hyaluronic acid to visibly plump, hydrate, and lock in moisture. I loved how smooth and creamy the Youth To The People Age Prevention Superfood Mask felt on my skin. It was easy to spread and felt lightweight. The scent is very unique - it's clean and fresh with a touch of herbal notes that I liked. I used the Superfood Mask at least 2x week and was very impressed with how balanced, hydrated and smooth my skin felt. My drier areas were plump and hydrated, while my more oily t zone felt smooth and clean with no added oil. 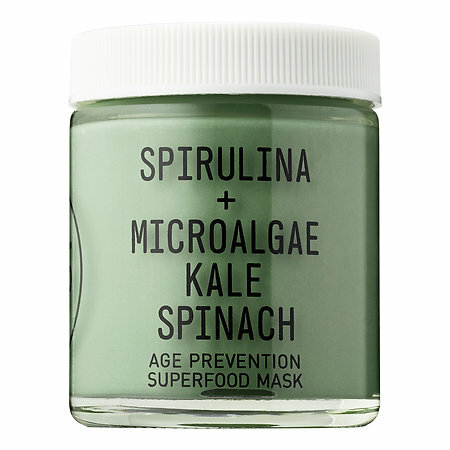 Youth To The People Age Prevention Superfood Mask is perfect for a lazy Sunday at home spa day, or to pamper yourself after a workout at the gym. Unlike some mud masks, Youth To The People Age Prevention Superfood Mask was very easy to remove and didn't dry on my skin to the point of cracking or flaking off. It remained relatively soft even after it completely dried. It rinsed off in seconds leaving no residue, (also very good for a mud mask). Note: All extracts are cold-pressed and sourced in the U.S. Free of added color, fragrance, and soap, this mask is 100 percent vegan and never tested on animals. *This product was provided courtesy of Youth To The People PR for reviewing purposes.